CustomerGauge, the leading cloud-based loyalty measurement platform provider, today appointed Lou Shipley as Chairman of the Board. In this newly created role, Shipley will assist in aggressively expanding CustomerGauge in North America while forming key strategic partnerships to fuel worldwide growth. Most recently the CEO of VMTurbo, Shipley has more than 20 years of experience driving growth for an impressive range of successful startup companies including Avid, WebLine (acquired by Cisco), Fairmarket (acquired by eBay), and Reflectent (acquired by Citrix). He currently teaches a course in new technology sales and marketing at MIT Sloan School of Management, mentoring founders of high-tech businesses. 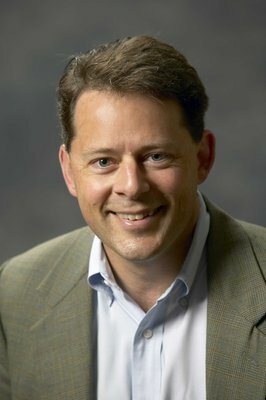 As CEO of VMTurbo – provider of the only software-defined control system for businesses running mission-critical applications on virtualized and cloud infrastructures &mdash he led the organization from 25 customers and 30 employees to 420 customers and 100 employees in less than two years. "CustomerGauge is well-positioned for dramatic growth in the U.S. and beyond," said Shipley. "There is an enormous need among North American businesses to place customer loyalty using Net Promoter® Scores (NPS) at the center of their organic growth strategies. CustomerGauge allows them to do just that immediately – in a faster, more comprehensive way that no other firm can match. As a CEO I always wanted to know who my customers were and if they were satisfied with my company's products. CustomerGauge does this instantly at scale so you no longer need to rely on anecdotal conversations. I am excited to be part of this unique opportunity." CustomerGauge has over 100 customers worldwide, including brand names like Tommy Hilfiger, Electrolux and Canon. The company sends over 5 million emails on behalf of their customers annually, operating in 140 countries and 32 languages. The appointment of Shipley marks a significant step forward in the growth of CustomerGauge, following the opening of its first North American office in Chicago in June. "We have experienced tremendous, rapid growth in Europe and now we are eager to drive US expansion with the appointment of Lou, a renowned leader of highly successful emerging technology companies," said Adam Dorrell, CEO, CustomerGauge. "Lou brings the right experience and expertise to shepherd us to our next stage of growth."